Thuy Thanh Truong’s life story sounds like the basis for a book. 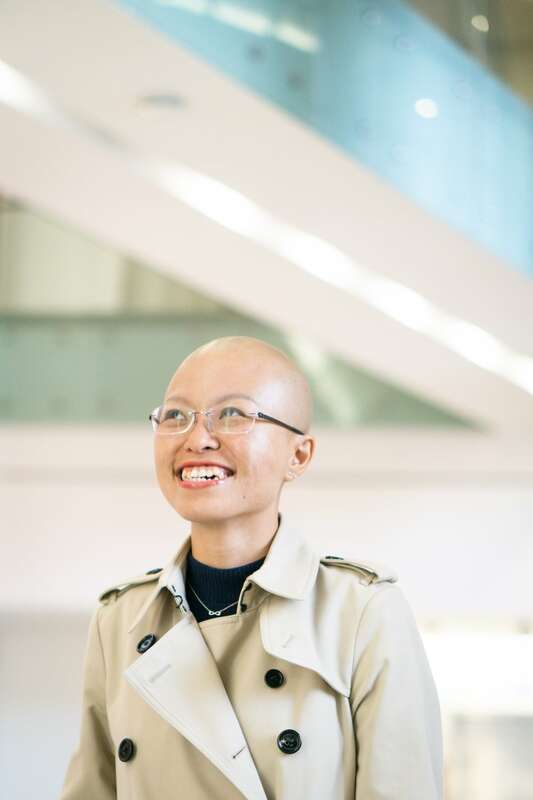 The 34-year-old serial entrepreneur started her first business with her friend Ha Pham while still in high school—Parallel Frozen Yogurt, whose flagship store opened in 2009. 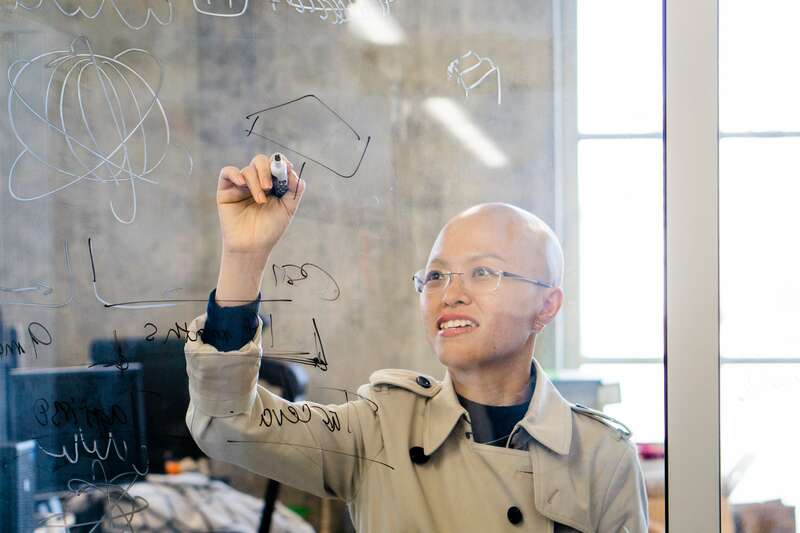 In 2010, she partnered again to launch the successful collaborative whiteboard drawing app, GreenGar. 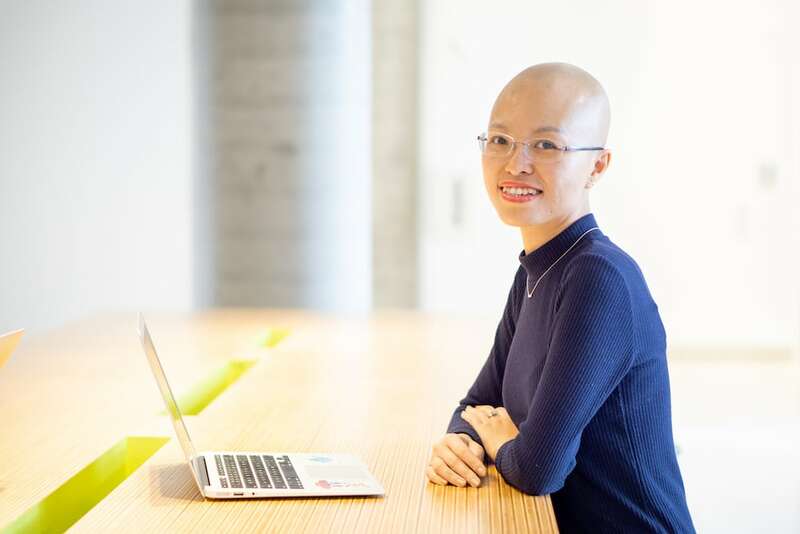 Three years later she took the app to the finals of the Women 2.0 Pitch Competition in San Francisco—and it became the first Vietnam-based company accepted onto the program. 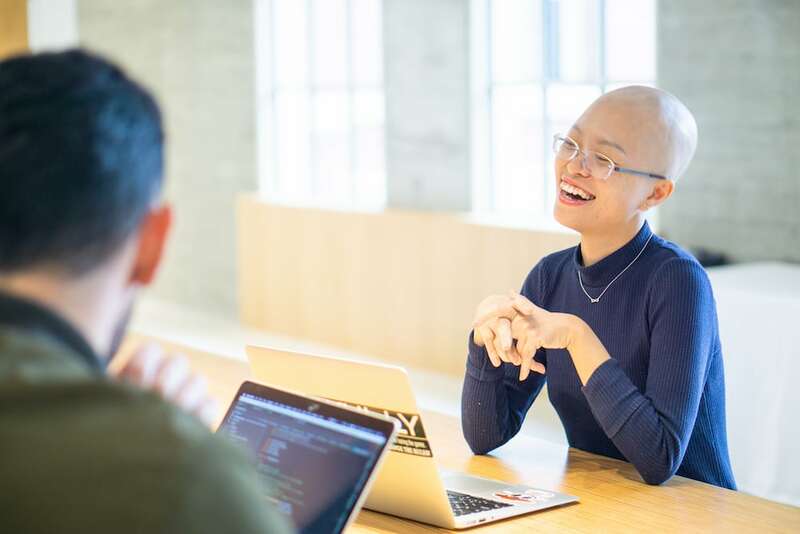 The Queen of Startups, as Thuy Thanh Truong’s been called, also featured in the 2016 documentary, “She Started It,” about five inspirational female tech startup founders. 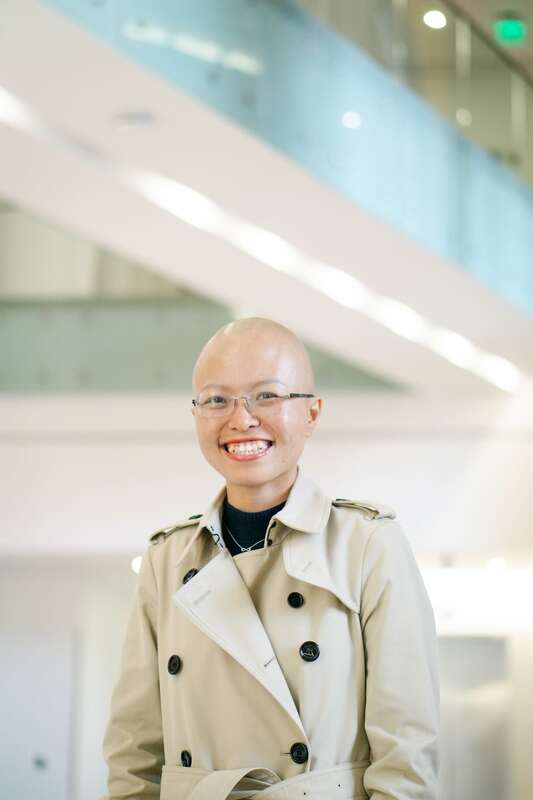 She’s a writer, blogger and a hackathon host too, and she was also pivotal in bringing The Bachelor TV show to Vietnam. But a week after discovering their pitch for The Bachelor Vietnam had been successful she was diagnosed with stage-four lung cancer. “Actually, I’ve already started writing my book,” she interjects during our Skype call. We ask who will play her if it’s turned into a movie. “There would be lots of auditions as it’s not easy playing me—you’d have be bitchy one day and warm and emotional the next!” she laughs. 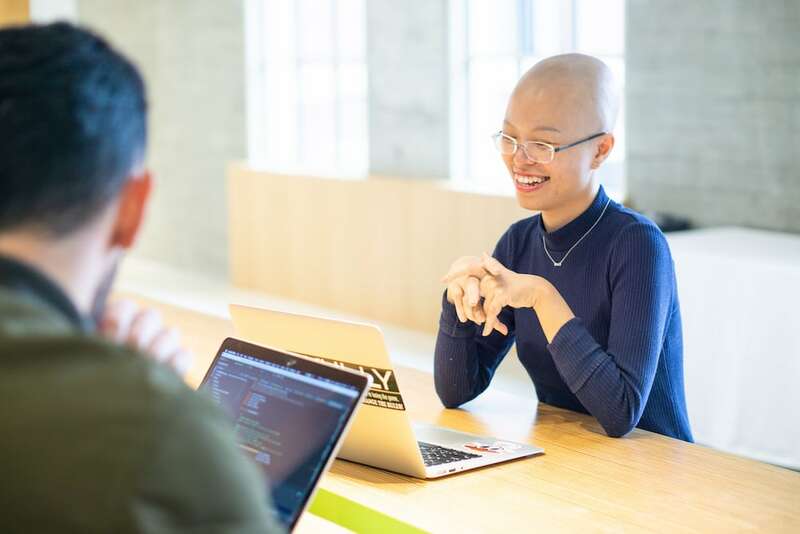 So we asked Thuy Muoi, as she’s better known, about life before and after her diagnosis, and how she’s still driving tech innovation…this time by organizing hackathons and clinical trials for cancer patients like herself. 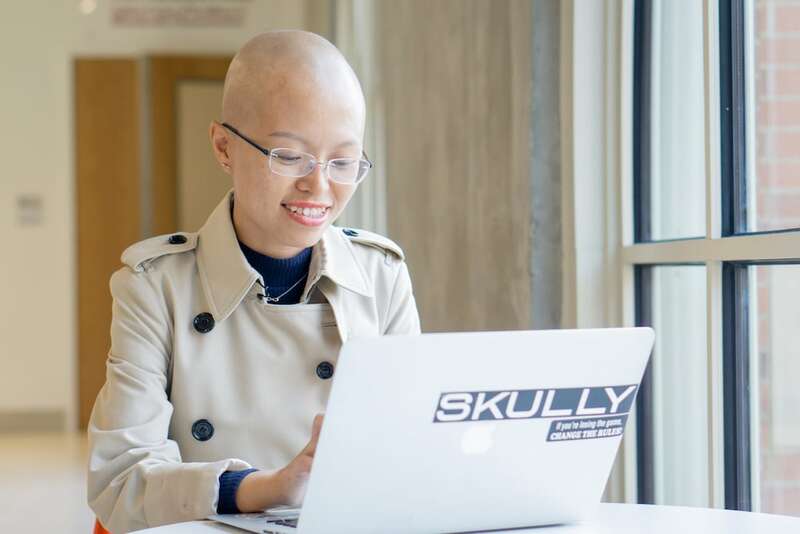 Thuy Thanh Truong or Thuy Muoi is Vietnam’s “Queen of Startups.” Despite her diagnosis for lung cancer, she continues to innovate with the Salt Cancer Initiate, hackathons, and clinical trials for patients like her. Which one moment in your startup career was most significant? And how do you feel about Vietnam’s current startup landscape—what’s propelling it and what’s holding it back? After GreenGar failed to scale, I built Tappy—a hyperlocal social app that transforms any location into a virtual online community where users can discover interesting people and relevant content. Ten months after the new company incorporated, I signed the acquisition offer from Weeby.co—now known as Game Closure—a Californian messenger game technology company. So, the most significant moment in my startup career was when I decided to leave Weeby. We were in the middle of an important business deal—the biggest contract of my entire career that would net an eight figure sum. But every night I asked myself one question: “What do I really want?” I couldn’t foresee my future in the company being a happy one. And so I left forfeiting all my shares…and I never looked back. I feel the startup scene in Vietnam is more exciting now than five years ago. Every time I read the news I feel like 2013 is 50 years ago already, and not five. More capital is certainly a driving factor. And young entrepreneurs are able to learn more from the mistakes of earlier generations. However, I would add a note of caution. Media exposure and public attention have become the goal for many entrepreneurs, and it’s very dangerous. Many eyes on products and companies can cause good pressure—but it can also make the founders afraid of making mistakes and accepting failures. And which Vietnamese startups are exciting you right now? I’m choosing the ewallet and payments app, Momo. My first “legitimate” job—besides working at Target and those kind of jobs—was at the Bank of America, and so I understand the banking system fairly well. In the States, we went from cash to cheque books, then to credit cards—and all the points in between. In Vietnam, we basically skipped all that and went from cash to credit cards, and now in 2018 we have mobile payments. There’s people who’ve never had a bank account in their life—they’re like, “I have 5 million VND on mobile.” They don’t even know why you’d need to have a bank account! I’m excited to see the new generation of Vietnamese going directly from cash to mobile payments. We all went from telephone, to voicemail, to mobile, and then smartphone, and messaging apps. She’s straight to Viber! Vietnam produces lots of inspiring business women, like yourself. Why do you think that is? In Vietnamese tradition, the husband is the bread earner, but the wife is the one who manages the finances and runs the family. So women have always been far better than their husbands when it comes to maintaining and growing the wealth of the family so that they can pass the benefits along to future generations. It’s very natural for them to take the opportunity to join the workforce and become leaders. They’re not afraid of initiating new ventures or taking risks! “I would say ‘Queen of Problems’ suits me better,” Thuy Muoi muses. As the Queen of Startups, how have your views about business and success changed since your diagnosis? I would say “Queen of Problems” suits me better. Throughout my career I’ve encountered different problems and I’ve set about trying to solve them. For example, back in 2008, my GreenGar co-founder Elliot Lee had problems connecting and collaborating with his sister. So, he created Whiteboard. It turned out a million other people were having the same problem. And that became our first company. All Thuy Muoi’s projects have begun with a problem that needed solving. In 2013, I broke up with a guy who I’d met on Tinder. I realized I hate long-distance relationships so much and so I built Tappy to help me connect to new people in the same place. And in 2016, I discovered I have cancer. I realized it’s very hard for Vietnamese patients to get mental support and information about the disease. So, I built the Salt Cancer Initiative. Do you think there are any negative aspects to new technologies? Since the diagnosis, I wouldn’t hear from people for six months, and then they’d send a message to ask how I am. At that moment, I think they either want something, or they’re checking if I’m still alive—but they can find that out by checking my Facebook! And in either case, I don’t care. I’ve cut out a lot of people from my life because I don’t feel it’s necessary to keep up those relationships. I appreciate a quick phone call to hear a voice sometimes. Many people avoid health check-ups because they’re scared of the results. How important do you think it is for people to seek medical help if they feel concerned about their health? What advice would you give them? Our bodies—like everything in the world—need the proper attention and maintenance. And obviously, the earlier we seek medical attention the better. However, people make different choices in life and I respect that. As much as I want my idol, Steve Jobs, to have lived longer, he obviously had other priorities…and he’s still my idol. Can you choose some key relationships in your life and describe how they’ve developed or changed since your diagnosis? The most important relationship is the one I have with myself. For many years, I lived and worked for the best interests of everyone involved in my businesses—the shareholders, investors, partners, and employees. Early in 2016, when I left Weeby, even before the diagnosis, I asked myself what are the things that I wanted to do in life that I hadn’t done yet. So I translated and published a book called “Gear Up” [Banh Rang Khoi Nghiep], then I rented a car and drove across the US by myself for two months, then I worked on a feature film, “Co Gai Den Tu Hom Qua,” and finally, I helped acquire the license for The Bachelor Vietnam. What did you learn during your two-month drive across America? Even though I’m a very independent person, I never thought I’d be able to do it by myself. It’s completely insane. But taking the trip was the best decision of my life. I went from San Francisco to LA, to Arizona, New Mexico, Colorado, Arkansas, Texas, Georgia, and New York. Then to Pennsylvania and Nebraska, and all the way back to LA. Although I was reluctant to come home, I figured it was time. My mom wanted me to return, and I’d signed up for a random course in LA too. Thuy Muoi was one of the executive producers on The Bachelor Vietnam. How did you first connect to the Bachelor Vietnam project? How did your diagnosis affect your role in the production? And how do you feel now season one has ended? The show has four executive producers—me, Teddy Zee, Don Le, and Danny Do. I was especially excited about the idea of working with Teddy. In fact, he’s one of the main reasons Warner Bros. gave us the rights to the show. After discovering you have cancer, you were restricted to blended food for a while. Is there any way to make that food tasty? Could we make a blended food cookbook and if so what would we include? Nutrition is the key to survival for cancer patients, or anyone with a terminal disease. Our bodies need nutrition to have the energy to fight. There are many blended cookbooks out there already but for me the food should be geared towards providing nutrition during the patients’ treatment, rather than just tasting good. And honestly, many medications have negative side effects anyway like the loss of appetite and sense of taste so flavor isn’t so important. And how important do you feel holistic activities like yoga and meditation are to cancer patients? How have they helped you? Yoga has been very helpful not only physically but emotionally. I’m more conscious about my body and its movements—whether I’m moving faster or slower, if I’m flexible or not, the location of pain, and the level of pain, and how I can manage that. Meditation is also undoubtedly helpful for pain management, and to relieve the side-effects of treatments such as depression. You founded the Salt Cancer Initiative to help other patients get support and information. What impact has the initiative had? Over the past two years, we’ve organized dozens of activities for cancer patients in Vietnam such as yoga classes for cancer patients at Elite Fitness, and pediatric care with MeSchool at Tan Trieu Oncology Hospital. Besides that, we’ve organized monthly meet-ups to explore different cancer topics mostly around the disease and its treatments. It’s helped cancer patients and their families to understand more about the disease. We also created many first-time experiences for patients. For example, we’ve watched movies and invited the actress in the movie to a face-to-face question and answer session. We’ve held flash-mob dances to celebrate World Cancer Day. And we also started an annual patient forum which has between 300 and 500 participants each year. For the forum, we invite the best oncologists from the US over to share their knowledge with us. What are the latest developments with the Salt Cancer Initiative? 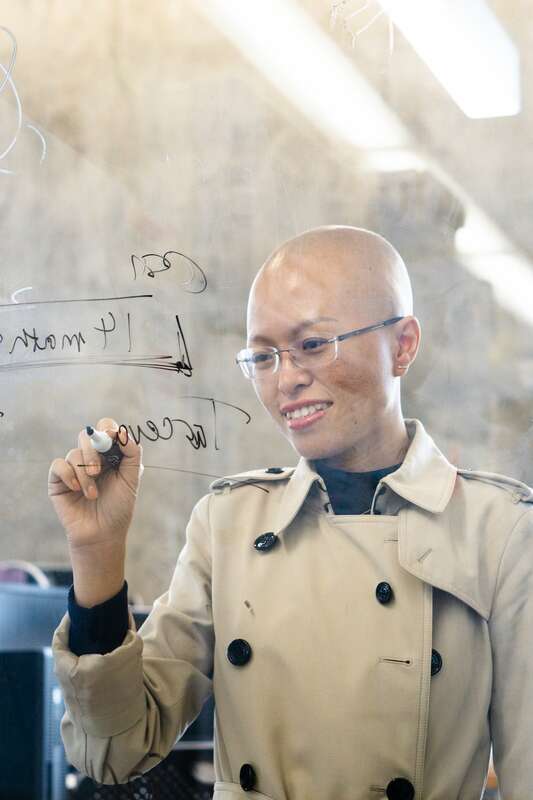 We announced our SCI Ecosystem last month, and started working with many businesses in Vietnam to bring perks and benefits to cancer patients. For example, we’re working with Grab to give cancer patients monthly credits to commute to hospitals for treatments and check-ups. We also work with the eDoctor app to reduce the cost of homecare services like taking blood samples at home. But we are still looking for more services like food deliveries and maid services to help cancer patients during their treatment. Besides starting the Salt Cancer Initiative, what else do you want to start? Shortly after my diagnosis, I started wearing fitbits to track my health. I wanted to know things like during a road trip whether I slept better in a campsite or in a motel. When I started my treatment I’d go to the doctor and I’d show him these detailed graphs about my health; like how far I’d walked two months before, and how far I could walk now. He thought I was so weird. The doctor connected me to the lab at USC Michelson Center for Convergent Bioscience where they were doing experiments on using health apps with cancer patients. So, two or three times per week I’d take a bus to the lab to see what help I could be. Then around February I got talking to Professor Kuhn. We spoke about Hackathons—even though he didn’t know what they were at the time. And we thought about applying that idea to their research. He gave me permission to go ahead…but that green light didn’t mean funding. Even a couple of weeks before the event we still hadn’t received any money. I was thinking that I wasn’t going to stop just because of the lack of financial support—it was going to cost US $6,000 and I figured I could work it out somehow. Then right before the hackathon Peter took me aside and told me we had been given funding…but it wasn’t six thousand, it was six figures! So we created a fellowship to offer to the winning students at the hackathon. Then they figured that I was spending so much time in the lab, they might as well give me a part-time job—so I’m launching a clinical trial at the end of this year…. All images for Vietcetera by Sara Ma.